The Canadians in the field this week at The Players Championship – Adam Hadwin rounds out the Canadian contingent – are only a small part of global group Applebaum has connected with already. 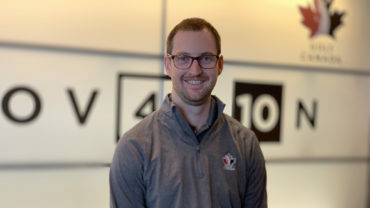 As the CEO of Golf Canada, he’s been thrilled to continue to drive the momentum of the organization forward – ‘momentum’ he said, is probably the one word to sum-up the last 12 months or so. Applebaum, with his second Annual Meeting as CEO in the rearview – where Golf Canada announced its three-year strategic plan – was happy to mix business with pleasure this week in Ponte Vedra Beach. 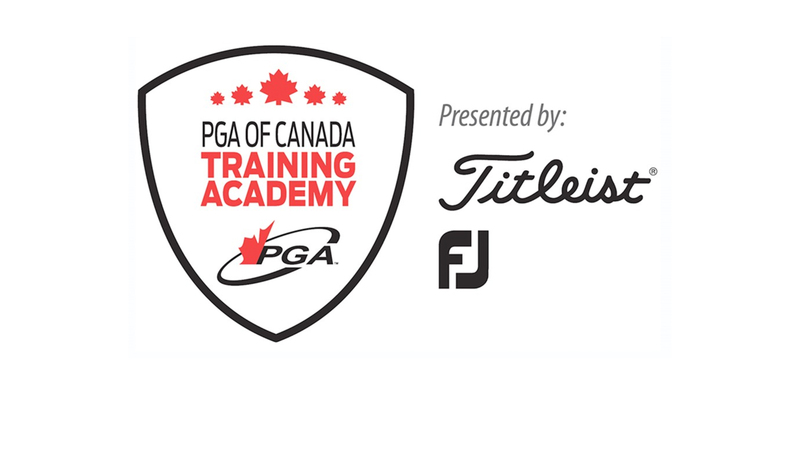 Martin Slumbers, the chief executive of the R&A, Jay Monahan, the commissioner of the PGA Tour, Canadian golf hall of famer Mike Weir, and Mackenzie Tour-PGA Tour Canada president Jeff Monday are just some of crew Applebaum has talked with. He’s enjoyed sharing the good-news story behind this year’s RBC Canadian Open. 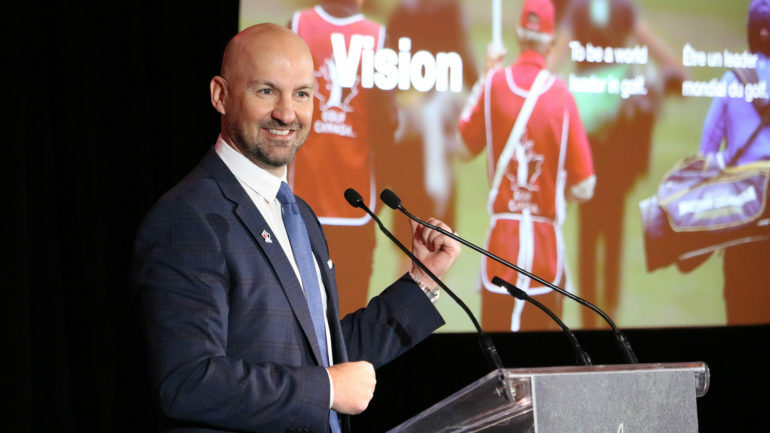 The commissioner, Applebaum said, was instrumental with the new date and helping to bring three partners – RBC, Golf Canada, and the PGA Tour – together to make the upcoming RBC Canadian Open a special one. He said although the PGA Tour is a big professional sports organization, it’s also a really intimate family. “They’ve wrapped their arms around Canada,” he said. With The Players becoming the signature event of the PGA Tour, it’s become a spectacle with the global golf community invited. There are things the organizing team will bring from The Players to the RBC Canadian Open this year. “When you spend any time here, you realize it’s a little beach town outside Jacksonville, Florida, and it’s become a mecca for golf fans. 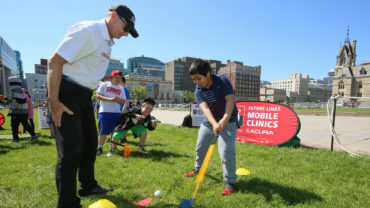 Golfers, sports fans, people looking for fun things to do – like family entertainment – and they’ve brought food, music, a real spectacle in the middle of March which is really nice,” said Applebaum. 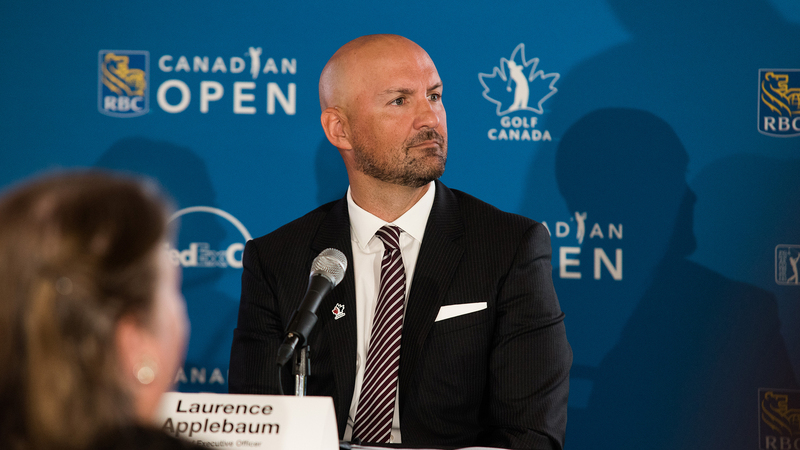 Not only is there exciting news around the RBC Canadian Open, but Canadian golf as a whole, said Applebaum. There are eight Canadians with PGA Tour status this year – nine if you count Graham DeLaet, who is on a major medical exemption and 10 if you count Weir, as a past major champion – which is the most ever. He also points to the success of Team RBC members Dustin Johnson (as world no.1) and new Team RBC member Webb Simpson (as defending champion at The Players) as something else that’s been a positive through late 2018 and early 2019. “We want to keep that momentum going,” he said – with a smile, of course.